Ever have a truck that handles the corners? This kit is the best, least expensive and easiest too install that we have come across. 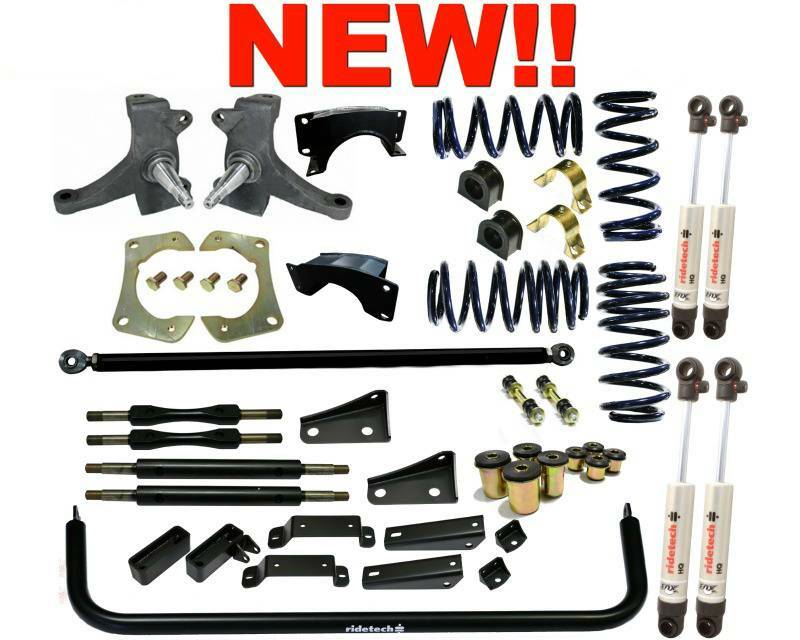 Now you can bolt on true handling to your truck, update that tired old suspension and this kit comes complete! Will lower the vehicle. Front Coil Springs for a small block, Front Sway Bar, Drop Spindles, Delrin Control Arm Bushings, Front and Rear HQ Series Shocks, Dual Rate Rear Springs, Bolt on C-Notches, Full Length Adjustable Panhard Bar & Lowering Blocks.